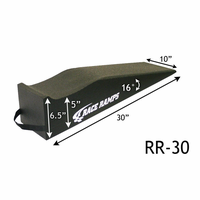 Does your jack stand leave you feeling a little nervous as you wrench around under your car? Is the space a little too tight for comfort? 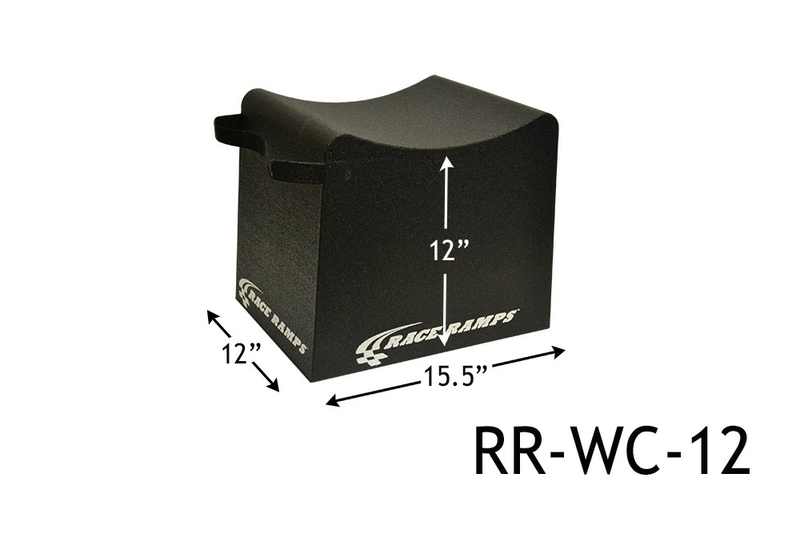 Our Wheel Cribs are a safer, stabler alternative to jack stands that cradle your tires 8", 10", or 12" off of the ground (depending on the model). 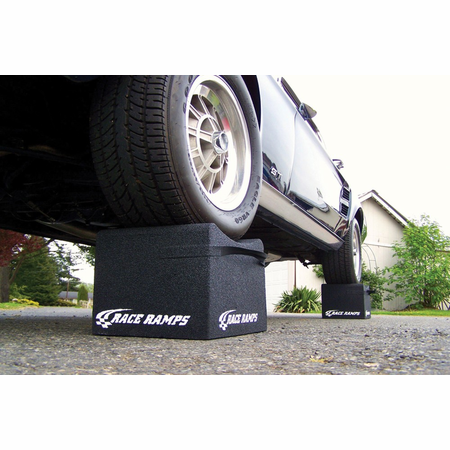 Jack up your car for initial placement of the Wheel Cribs, and then they will safely provide you with unobstructed access underneath your car. Each crib can hold up to 1,500 lbs., for a total weight capacity of 6,000 lbs. 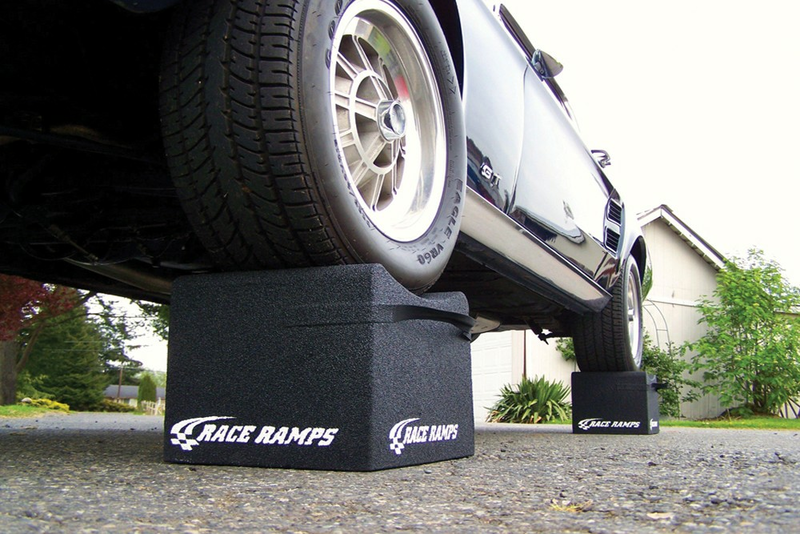 Using 8" or 10" Wheel Cribs in conjunction with 56" or 67" Race Ramps allows your car to be level while raised � useful for changing your oil, for example (you can also use four cribs, of course). 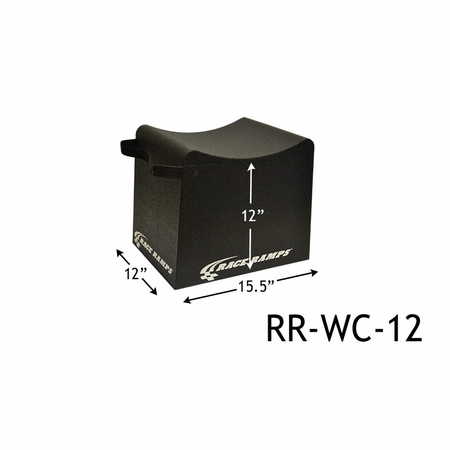 Adjustable Wheel Cribs are a two-piece version of the standard Wheel Crib set. Each crib comes as a stacked assembly of two interlocking pieces of equal height. Their design allows the vehicle to be lifted incrementally. Also sold as a set of two, they can be used as two 8"/10"/12" cribs or four 4"/5"/6" cribs when the set is split (heights depend on which model you purchase). Wheel Cribs also can be used for an impressive car display (especially in conjunction with our Show Mirrors) and are available in custom sizes. All variations are 100% solid, made with a high-density expanded polystyrene that is coated with a hybrid polyurea. This patented process results in a product that is extremely lightweight, yet strong and durable. Wheel Cribs will not slide, scratch, or otherwise damage any floor type. Proudly handmade in the USA! 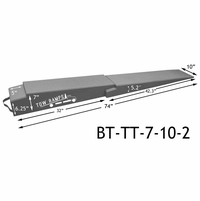 TIRE DIAMETER: 25" - 30"
Race Ramps 2pc Tow Truck Extension Ramps, 74"x10"x7"